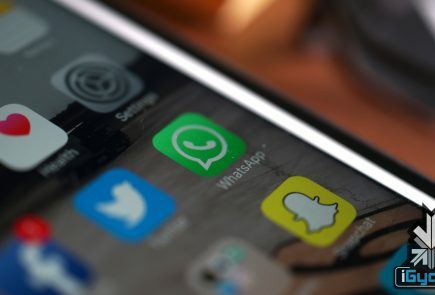 From Thursday onwards, Facebook will be introducing updates that would allow you to add stickers to your photos from Facebook’s mobile app on iOS and Android devices. 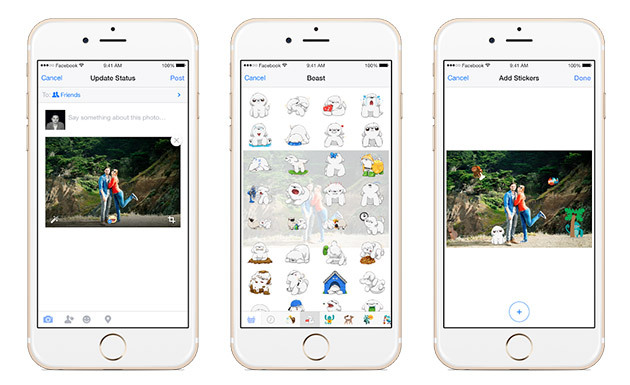 While uploading a new photo, you will be able to access the new sticker icon with the updated Facebook app. This icon will offer a huge variety of stickers. Once the sticker (or multiple stickers) is added, you are free to choose as to where to position the sticker, resize it or rotate it. You of course have the option to delete the stickers before the photo is finally uploaded. You can also add captions, and even apply the stickers before the shot is taken with the app’s built-in camera access feature. Images already present in your image gallery can be decorated as well, and there is no limit to how many stickers can be applied to one image. 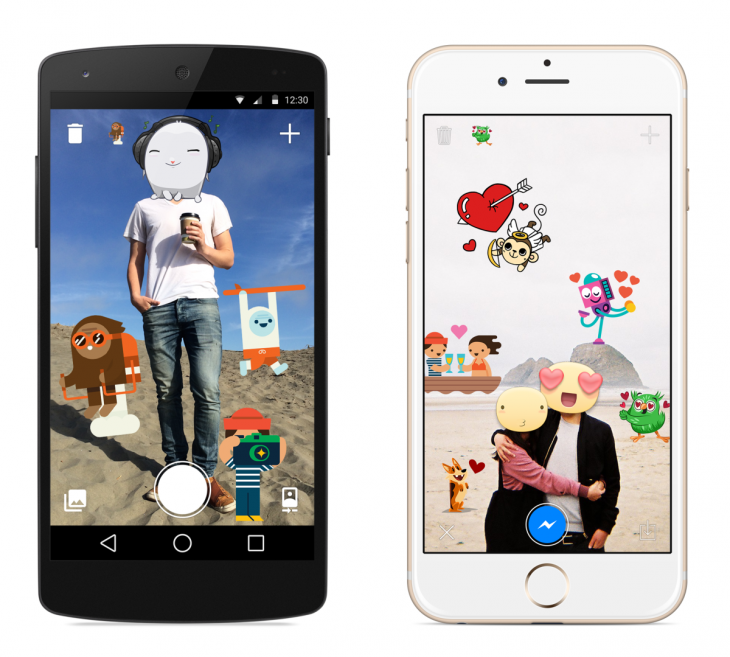 Facebook had launched the sticker app called ‘Stickers for Messenger’ in December for Android and iOS devices. However, this app required the Facebook Messenger app to send images to Facebook friends. This new feature may suggest that Facebook is now targeting mobile users more than desktop users. 85% of its users access the website via mobile, and one-third of its total users access the site exclusively on mobiles. Facebook’s revenue rose to $2.5 billion last quarter, thanks, in part, to mobile advertising. Stickers for photos look like an enjoyable feature and will be really appreciated by the users.